The number one expectation that Israel needs from the Palestinians is that they recognize Israel as a Jewish state. The USA's spokeswoman for the State Department, Jen Psaki, told the "Al-Quds" (name for Jerusalem in Arabic) newspaper that the Palestinians don't need to recognize Israel as a Jewish state in the peace agreement if they don't wish to do so!!! What? Has Israel now become occupied and run by the USA and they can change the provisions of a peace treaty at their will? What kind of peace negotiating is this? Sorry, but this is not going to be met by Netanyahu or the knesset with joy and approval. This is such an important point yet the USA doesn't understand what the consequences are legally that can happen if they don't recognize Israel as a Jewish state and yet they are so obvious. Israel cannot be in a situation where they will be forced to accept millions of Palestinians in Israel. It's only 8,000 square miles as it is and would be flooded with Palestinians changing the country completely into another Muslim state to be run by Emirs or Kings, whatever, people like the rest of the Muslim states. Then the Jews would be slaughtered and Israel would be destroyed. The reason Israel was created in the very first place was to have a safe place for Jews to live in, free of hatred and Holocausts and people trying to convert them to their religion. It is to be a haven for our people. After being set upon for the past 2,000 years by others, the League of Nations saw that it was high time that Jews could be left alone in peace, and this was before the Holocaust. Stating it is a Jewish State is their only protection from keeping it from being consumed by the Muslims states. Netanyahu knows why they won't accept Israel as a Jewish state, and it has to do with the Arabs then having the right of return on the table to flood Israel with Arabs. Why can't the USA state department see one move ahead? Showing that there is no way that Palestinians are even considering to make peace, like Jordan did, was the Chairman of the Palestinian Authority, Abu Mazen, who said "There is not a chance that he and the Palestinian nation will recognize Israel as a Jewish state". Jordan already took over 80% of the promised Jewish Homeland and has been peaceful with Israel since the War of 1973. The same goes for Egypt. Sadat came to Jerusalem and made peace. Egypt hasn't been trying to take over Israel's land. Neither Egypt nor Jordan have accepted Israel as a Jewish state, however. Their behavior so far hasn't called for Israel's needing it. They made peace. The concept and goals of a Palestine have been very undemocratic and quite like the Nazis. They're demanding that Judea and Samaria must be all theirs and that no Jew can live there. That's calling for the removal of about 400,000 Jews. 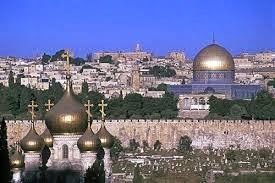 They want East Jerusalem, and Jerusalem is and has been since the beginning of recorded time the capital of the Jewish people. To have a people drooling at the mouth to take over your country including a quarter of your capital is just not going to happen. Besides that, they've had many a Freudian slip that they plan on taking over all of Jerusalem. It goes with the Hamas charter. Fatah has joined Hamas in the past, only to be divided over who is the leader of both. The only difference is that Hamas is hitting at Israel directly while Fatah has pulled the wool over the eyes of the world in pretending to want peace. Sure, peace, like teaching their children with maps showing Palestine and no Israel, teaching songs of hatred for Jews. They are fighting the battle between Jews and Palestinians with massive brain washing of their own people and this in turn has brain-washed many others as well. There has to be space between for security with a people unable to accept Israel on any count. This is a people who have been attacking Jews since 1948. There hasn't been much let-up. Israel is still being attacked by Hamas terrorists and Fatah has had it's attacks as well; human walking bombs into restaurants and schools and such. Hamas follows the Muslim Brotherhood Charter of destroying all of Israel and killing the Jews. That's why it is absolutely necessary that they come to the conclusion that if they expect peace, they must accept Israel as being different from them; that they are a Jewish nation, democratic and wanting to enjoy life, and that 6 million of them, Jews, are following the laws of Moses. Why is this so hard to accept? Israel can't have a Palestinian state right next to them which will continue to fighting with the goal to destroy Israel. One thing Israel is not is stupid. All along, the Fatah Palestinians living in Judea and Samaria have been promoting hatred and denial of Israel in their culture, starting in their schools. They even celebrate the killers of Jews with lots of recognition and praise in city-wide programs. They have done nothing to show that there will be peace between the two people. Hamas continues to shell the parts of Israel within their scope of missile distance and vows never to make peace but to destroy Israel. Abusive people we've got for neighbors. And the state department thinks Israel can let them get away without recognizing them as a Jewish state? They've got to be kidding. Israel is not about to sign away their own land to a people who have been their enemy for the past 67 years.